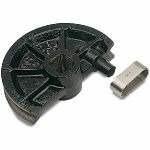 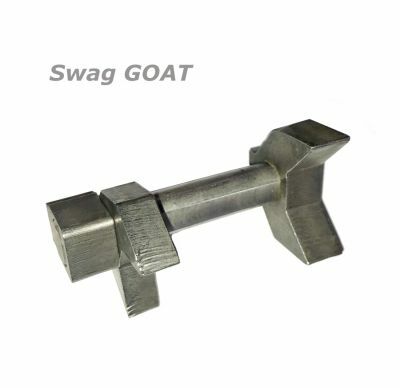 The GOAT adds even more versatility to your JD2 Notch Master or Beast Master tube notcher. 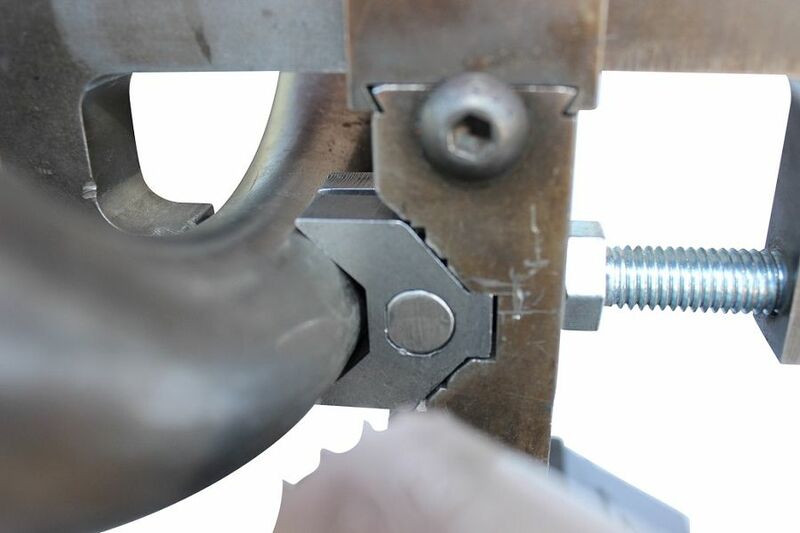 This excellent little device lets you notch tube without restriction. 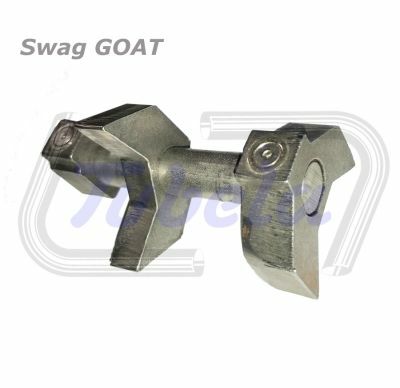 The Swag Offroad made GOAT adds even more versatility to your JD2 Notch Master and Beast Master. 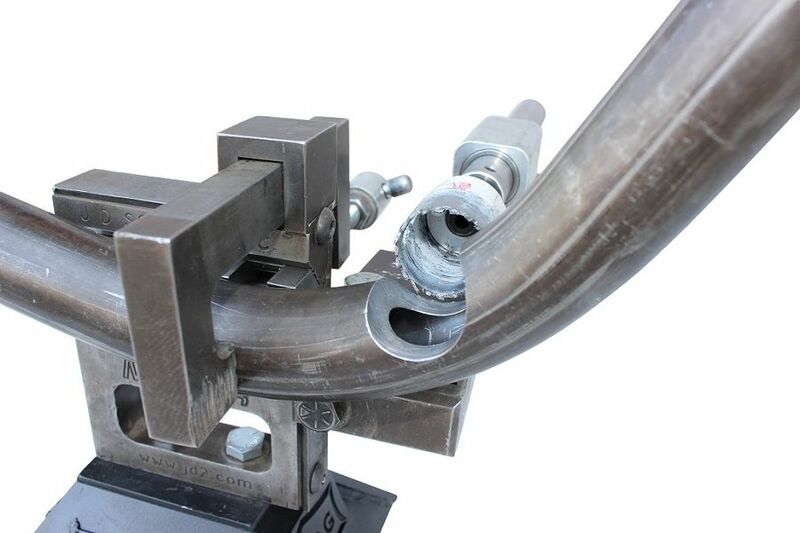 It lets you notch on a bend, any bend. 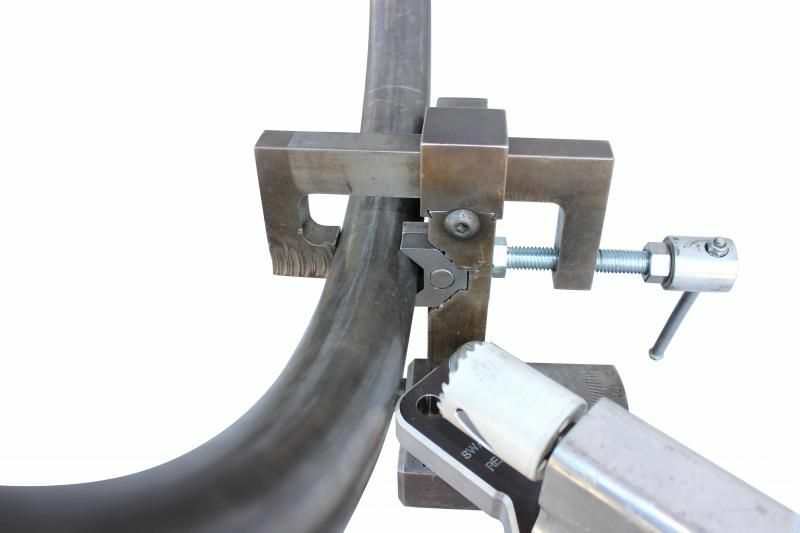 No straight required!!. 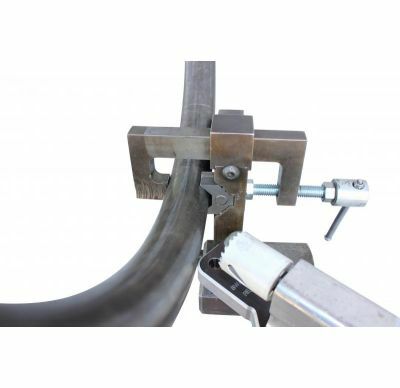 Notch any piece of round tube at any angle without the notcher getting in the way of a bend. 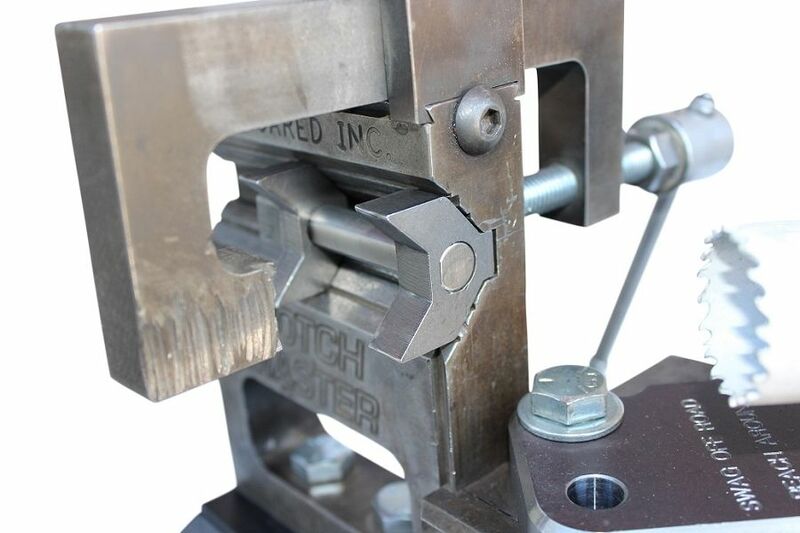 It completely transforms the way you use your Notch Master or Beast Master. 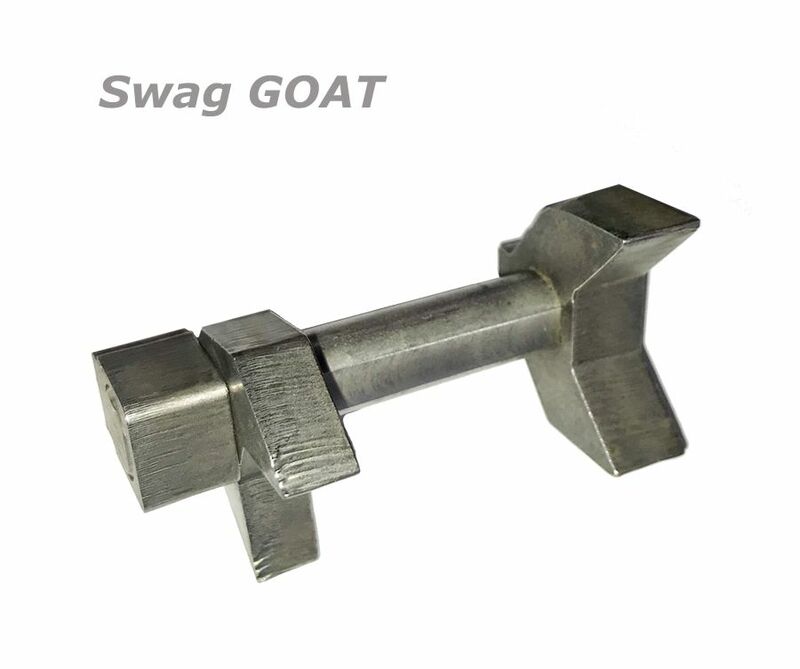 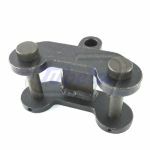 The Goat is constructed out of laser cut 3/8" thick steel with countersunk and neodymium magnets, that are threaded into place. 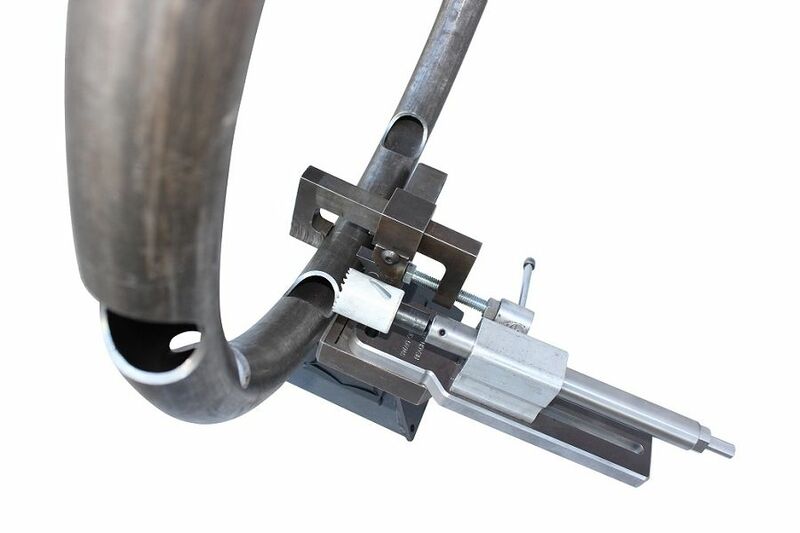 The two neodymium magnets do a great job at holding the Goat in place while you manipulate your tube to be notched. 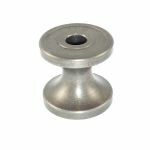 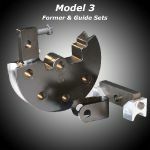 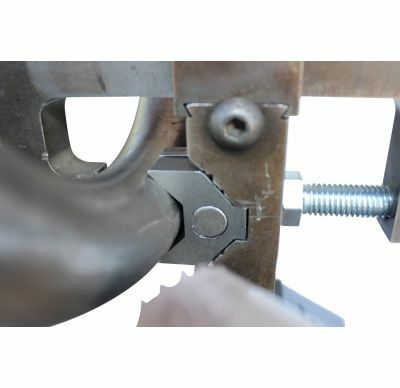 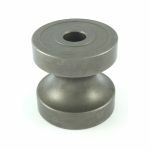 The 1/2" "D" profile shaft is constructed out of stainless steel. 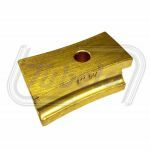 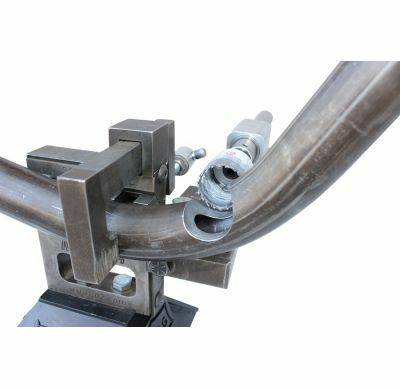 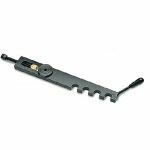 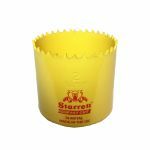 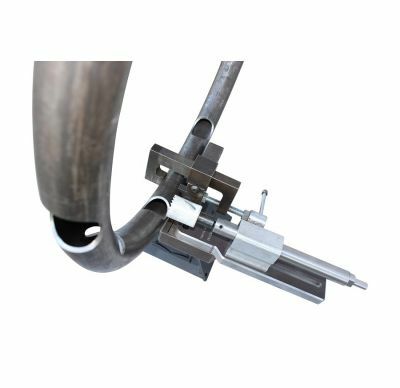 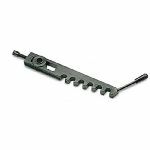 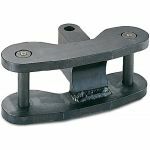 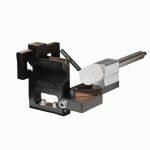 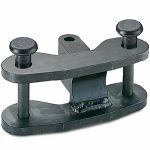 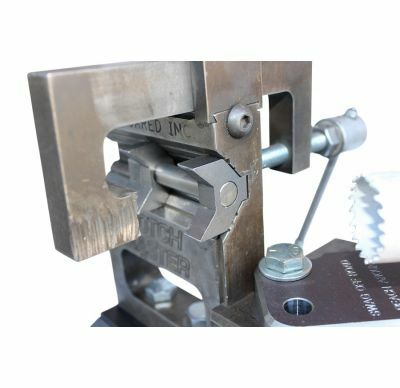 The moving centre jaw is designed to float along the shaft to accommodate any size of material, at any bend angle, while ensuring your tube is firmly held in place. 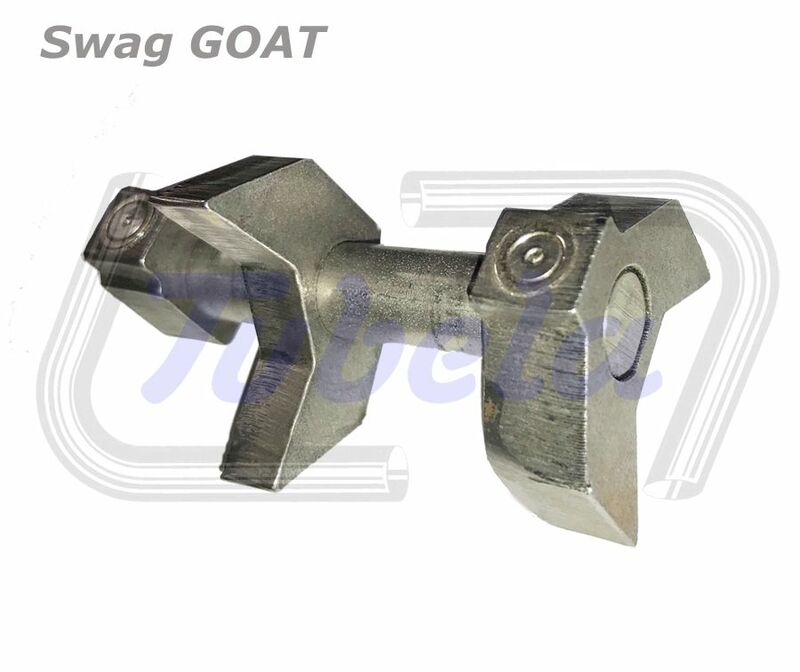 1 x Goat for use with a JD2 Notch Master or Beast Master notcher.